Rugby separates the strong from the weak at a young age in England. Sam refused to be an afterthought in the sport he loved. He used genetics to pound serious iron and surpassed the competition! How Did Your Fitness Journey Begin? I was brought up around rugby. Around age 16, I was introduced to the gym to help develop my strength and size for the sport. 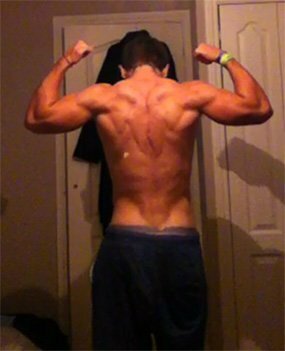 Within a few months, I developed muscle and got a lot stronger than everyone else, which I believe was mainly due to my genetics. My diet was very poor until age 17, but I got away with it and still put on lean muscle. I constantly asked myself what I could accomplish if I had the right diet in place. I had to know what I was capable of. I started researching on the Internet and looked at bodybuilders on YouTube for the best ways to train and eat. Professional bodybuilder Kai Greene, was a huge inspiration to me. He heavily influenced the way I trained. In May 2012, I met fitness model Ryan Terry. Ryan helped me develop a diet and explained that my gains would be minimal without the correct diet built for my goals. What Supplements Gave You an Edge? How Did Your Passion for Fitness Emerge? My passion for the gym emerged through rugby, but as the years went on I wanted to mold my body into something I was aiming for. I love leaving the gym feeling like I put all my energy into being the person I aspire to be. What/Who Motivated You to Be a Fitness Guru? My dad was a huge influence on me. I started going to the gym mainly because of him. However, bodybuilders and fitness models like Kai Greene and Ryan Terry also motivate me to achieve my target. Eric Thomas has always been able to inspire me. Listening to his top YouTube videos always does it for me. What Are Your Future Fitness Plans? My future plans are to keep working hard and putting 100 percent into everything I do. If I stay on track, I feel everything will fall into place. My main goal is to become a top personal trainer and teach young people to reach their goals and help them succeed. I would love to get into a top health magazine also. What Is the Most Important Fitness Tip? Technique before ego. I often see young athletes trying to shift heavy weight to boost their ego in the gym. However, they don't know this won't help them develop muscle. They need to drop the weight and fully stretch the muscle fibers to get a full contraction. Who Is Your Favorite Competitor? Kai Greene. I was introduced to him about a year ago, and I regularly watch his YouTube videos. He's knowledgeable and is one of the best competitors in the world. In May 2012, I went to the Body Power Expo in Birmingham, England, and met him. He's not egotistical. He's a down-to-earth guy, which makes him even more favorable. 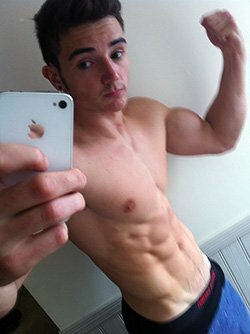 The forums are great for tips on exercises and diet plans. Whenever I need a new exercise to vary my training plans, the forums are a great place to visit. I just type in a topic area and read through the various pages on different exercises to see the pros and cons.